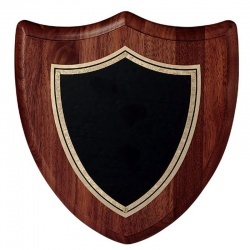 Make an impressive statement with these high quality wall plaques. 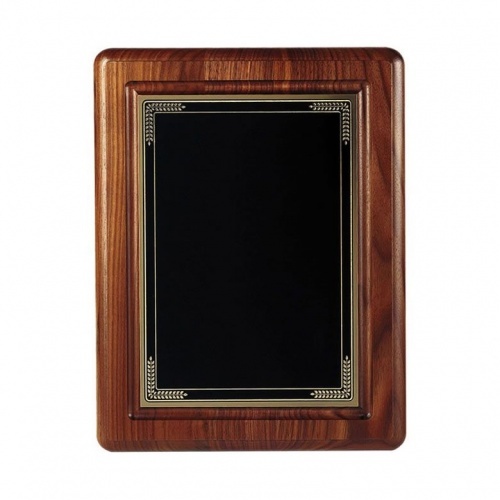 Crafted in American walnut, they feature a black coated solid brass plate with gold colour border. 11in x 9in, supplied boxed, offered with low cost engraving. Note that these plaques engrave through in a gold colour. 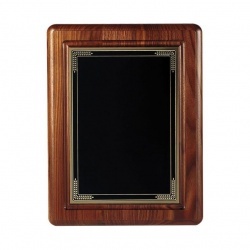 Rectangular plaque, 10x8in, in American walnut with black coated brass front.